Nearly 100 homicides have taken place in Kansas City so far this year. That's why one local organization is continuing their mission to put an end to gun violence. KANSAS CITY, Mo. -- Every year 100,000 people are shot in America, and the Centers for Disease Control and Prevention said 38,000 of them die. "We want to keep the whole issue of gun violence in front of the public," said Judy Sherry, Grandparents Against Gun Violence President. Sherry created the organization in 2013 following the tragedy at Sandy Hook Elementary School in Newton, Connecticut that claimed the lives of 20 children and 6 adults. "Our belief, is that now is absolutely the time to talk about gun violence," said Sherry. Kansas City marked 151 homicides last year. This week, Grandparents Against Gun Violence is hoping to send a message to the community. "Our feeling is if we could make it less acceptable for guns to just be everywhere, we'd all be safer," said Sherry. On Monday, Oct. 8, Grandparents Against Gun Violence will hold the 5th annual Heartland Coalition Against Gun Violence Community Forum, "Gun Violence - Changing the Conversation." The event will be from 8:30 a.m. to 2 p.m. at Westport Plexpod at 300 E. 39th Street in Kansas City, Mo. The organization will talk about gun safety. 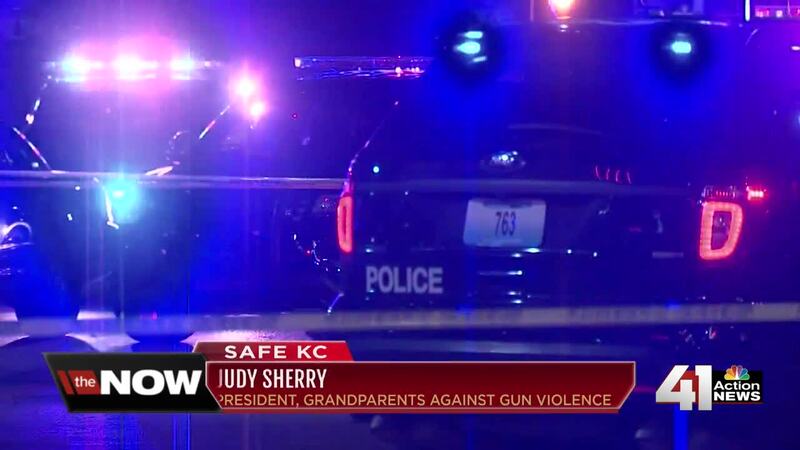 Through their "Lock It For Love" program, Grandparents Against Gun Violence partnered with Kansas City Police to provide free gun locks and demonstrations to those in need. Since July 2017, 1,227 gun locks have been given out at 55 events across the metro area.